On November 5, at 6:30 AM, twenty intrepid hikers set out in the dark from Riverview Park to complete the entire Rivanna Trail Loop. The sun broke out by the time we reached Free Bridge, and the headlamps were packed away. As the day got progressively warmer, gloves and extra layers of clothing were removed, and by mid-day the temperature was a perfect 50 degrees. We explored a new section of the trail that will connect Stribling to Sunset, and successfully navigated past the final stretches of the sewer replacement project. 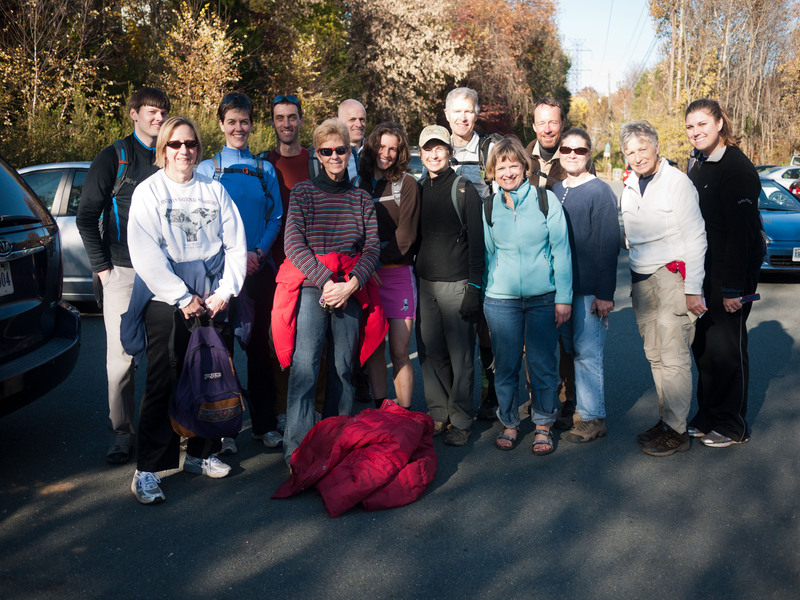 Some of the group planned to hike only the first third of the Loop, but fourteen completed the entire circuit and returned to Riverview nine hours later. For its tenth anniversary, the Loop de Ville couldn't have been more perfect.